The hardware chain will also sell Lenovo's Phab2 Pro in its stores. We've explored the Museu Nacional d'Art de Catalunya using Google's Tango technology, and we've also used it for a little gaming. Now that Lenovo is bringing the first Tango device for the masses, we're also going to see new augmented reality software that make use of Google's 3D mapping software tech. Lowe's, the hardware and home improvement store chain, has an app of its own that allows you to place appliances, add accessories and make other virtual tweaks to your house before you begin a project. What's more, the company will sell Lenovo's $500 Phab2 Pro starting around the holidays this year. The Tango software will give you an idea of what a certain shade of hardwood flooring will look like in your living room or confirm your suspicion that the refrigerator you've been eyeing won't actually fit in your kitchen. 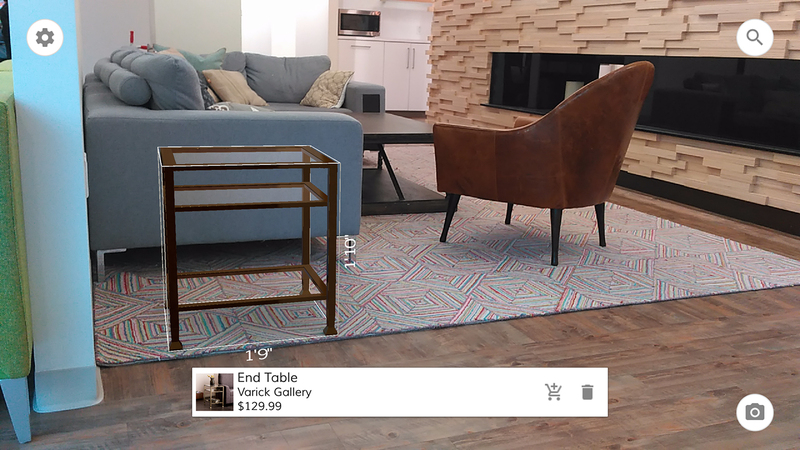 In addition to gaming and educational uses, this Lowe's Vision app provides a real-world solution not only for interior designers, but also DIYers who are looking to spice up their houses on their own. For virtually placing furniture, there's a Tango app from retailer Wayfair. The software gives you an AR version of the piece you're thinking about buying, allowing you to place it in your house to see if it will really work. You'll get the dimensions and other info about the furniture or accessory alongside pricing and, of course, a button for adding it to your shopping cart.